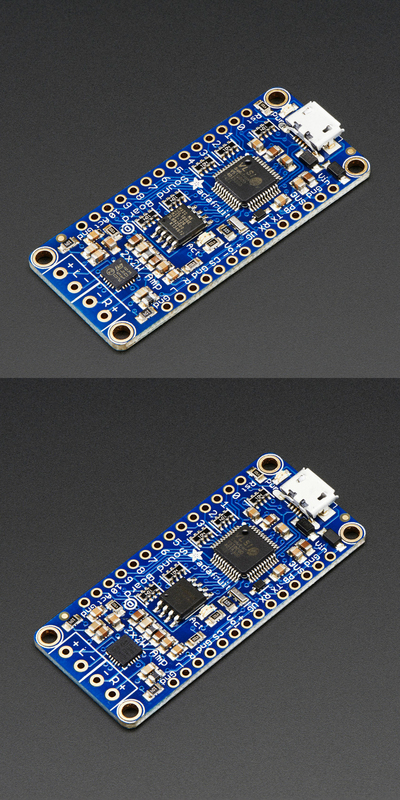 NEW PRODUCTS – Adafruit Audio FX Sound Board + 2x2W Amp – WAV/OGG Trigger – 2MB / 16MB « Adafruit Industries – Makers, hackers, artists, designers and engineers! 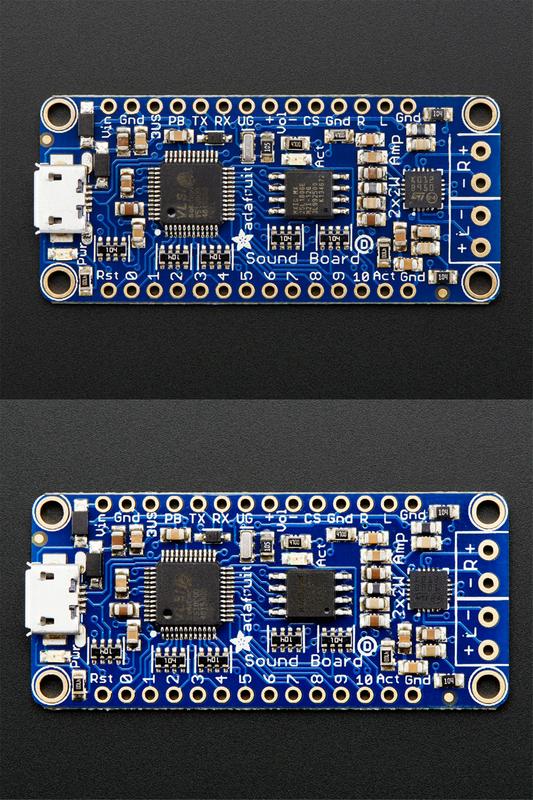 Best of all, this version even comes with a 2 x 2W stereo class D amplifier! 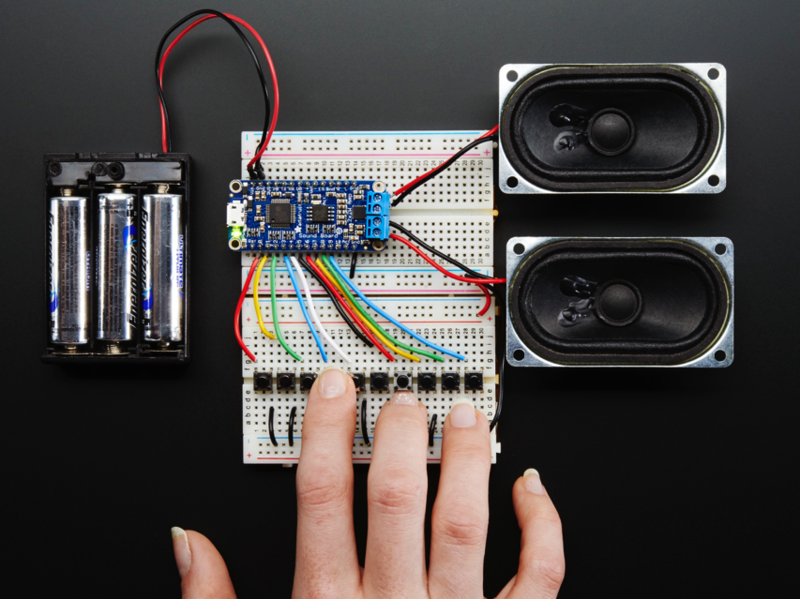 If you don’t need an amplifier built in, check out the headphone-out version here. Built in storage – yep! you don’t even need an SD card, there’s 2MB or 16mb of storage on the board itself (depending which version you get). Good for a few minutes of compressed stereo, and maybe half a minute of uncompressed stereo. Double that if you go with mono instead of stereo.